The City of Philadelphia teaches the Boy Scouts a lesson in "You can't have your cake and eat it too." President Bush was caught in another lie, but continues to lie. Hello? Impeachment? Some family news that will likely impact the production schedule over the next few weeks. "Answers" by independent artist Garrin Benfield. 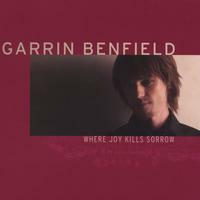 Images courtesy of garrin.com and cdbaby.com. My sympathies to you and your partner\'s family! I cannot even imagine the emotons involved right now. Sending you my thoughts and wishes for strength. My sympathies to you and your partner\'s family. I am sending you my thoughts and best wishes.